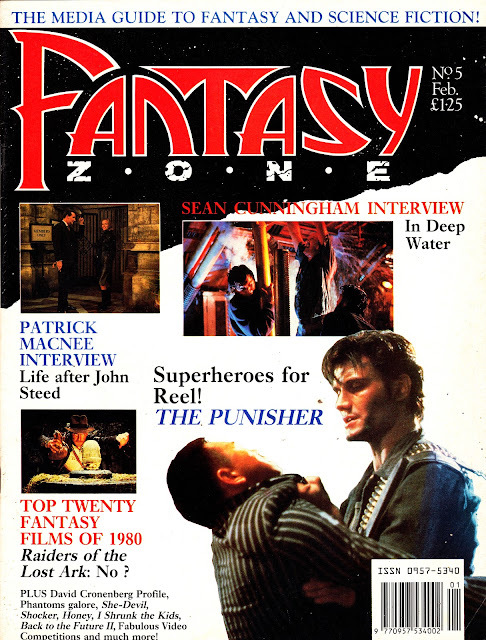 FANTASY ZONE was STARBURST redux: an attempt by Marvel UK to re-enter the SF/ Fantasy/ Horror media magazine market only a few years after flogging their previous monthly to Visual Imagination. The logic of such a move is lost in the mists of time. Maybe Marvel had seen that VI had managed to keep Starburst in business and coveted a piece of the action. Maybe they wanted to get a spoiler onto the market to counter the launch of Starburst's first regular spin-off, TV ZONE (which launched in September 1989), even through VI wasn't directly competing with M-UK and Fantasy Zone had a broader editorial catchment than the new VI magazine. Perhaps Marvel saw the glut of new fantasy movies, spearheaded by BATMAN, and thought the time was right. 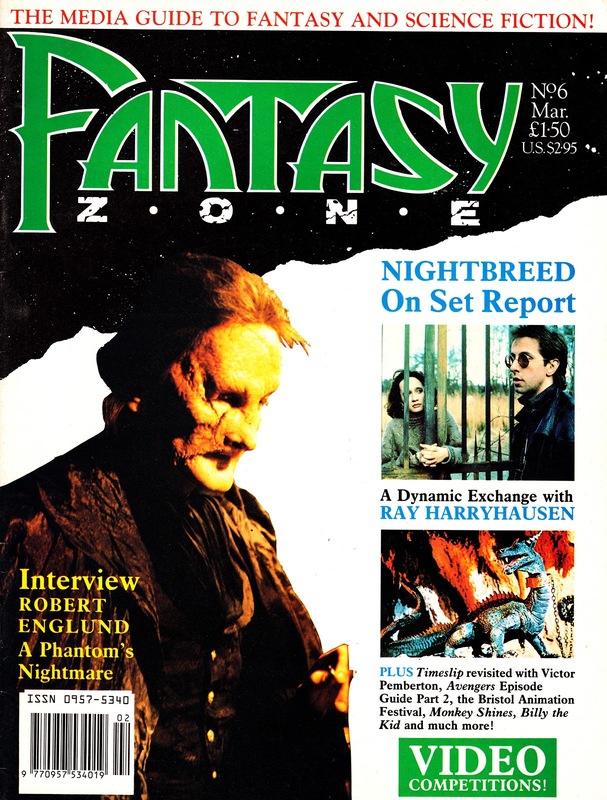 Or, just maybe, they sensed the DOCTOR WHO TV show was faltering badly and wanted to try and get a new magazine out which could - if need be - replace DOCTOR WHO MAGAZINE in the future. 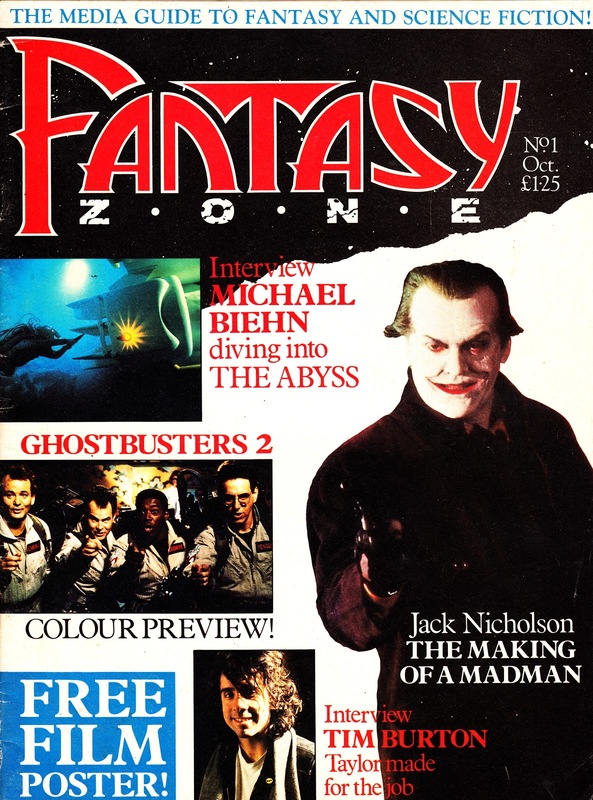 Marvel seemed to be pretty keen to make FZ work. The magazine was well written and contained a fair amount of text, especially compared with its main UK rival which often resembled a scrapbook. It also benefitted from some good layouts. The indefinable problem was simply that it didn't feel very engaging. 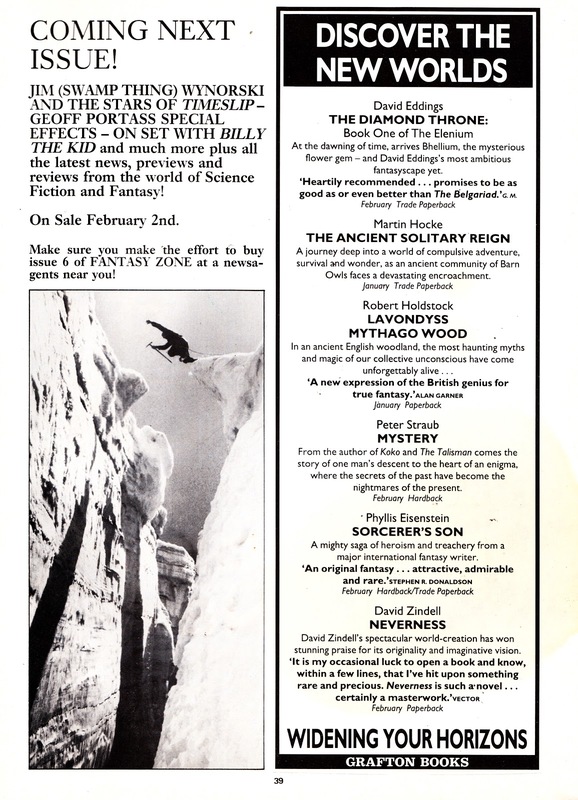 It was - somehow - hard to get excited about the new issue when it appeared. The commitment was there, but the emotion seemed lacking somehow. M-UK used FZ as a (brief) spearhead for an expansion into SF movie tie-ins: they signed-up to publish UK editions of Starlog's officially licensed STAR TREK V and GHOSTBUSTERS II one-shot magazines, making them FZ specials in the process. 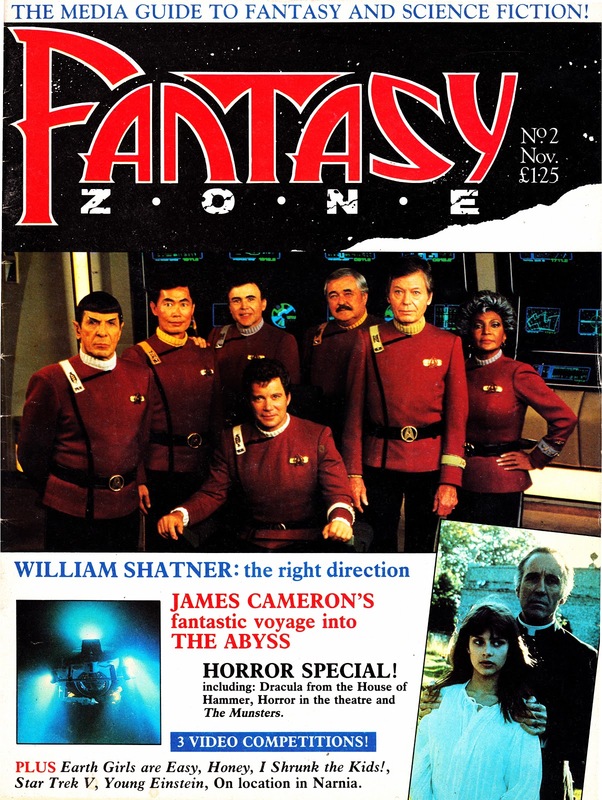 Fantasy Zone shuttered suddenly (and the spin-offs halted) after only six issues. The seventh (although misleadingly billed as the sixth) was previewed but never appeared. TV ZONE, in comparison, continued until 2008 (and spawned a number of other magazines, all revolving around similar material). As we've already seen (and will see again), Marvel UK didn't abandon the idea of media-based magazines (although they wouldn't attempt another Starburst wannabe): the next decade saw the DOCTOR WHO magazine franchise expand and contract (Classic Comics, Poster Magazine and Yearbooks), the (brief) return of BLAKE'S SEVEN (two specials and a poster magazine), a regular Hammer Horror magazine and the BIZARRE and PLAYBACK one-shots. 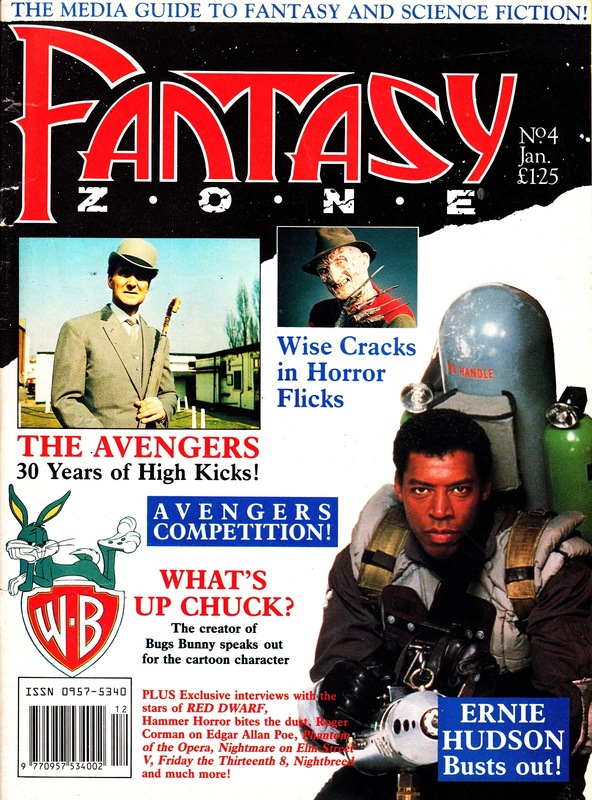 I fondly remember the Fantasy Zone, it was a decent, if unspectacular, effort by Marvel UK, and I was a competition winner in it too! Would anyone know which issue the winners of the Thunderbirds/Captain Scarlet novels competition were listed in, so I can track down a copy for old times sake? I scanned the covers several weeks ago so I don't have the issues to hand but I'll check them when I get a chance. It must surely be one from the second-half of the run. Thanks Slow Robot, that would be great, if you have time! Much appreciated. Love the blog too, bringing back a lot of good memories.